St Boswells Cricket Club is a long established Scottish Borders club with a distinguished competitive record and an excellent development structure. We compete in the East of Scotland League, currently in Division 2, the Women’s Scottish League and Cup, and also take part in club competitions in the Borders. 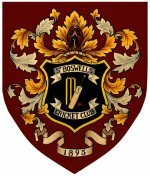 Founded in 1895 and established on the current site since 1920, St Boswells Cricket Club has a rich and interesting history intimately tied into the history of St Boswells village. In the last ten years the club has grown in stature, creating a Second XI and a growing Youth Development programme. St Boswells Cricket Club also stands at the vanguard of Scottish ladies cricket, having a competitive women’s cricket team that contains a number of national squad players. Our facilities are impressive for a small club which fully meet the standard required for National Leagues including portable sightscreens and a full set of covers. The 2011 season saw the installation of two full-length, high quality practice nets and a new Notts Sport synthetic pitch was laid in 2015. The clubhouse has a well-stocked bar and lounge area, with home and away changing facilities. Please help the club in any way you can, by attending events, using the bar or making donations. If you would like to make a donation or become a sponsor, please contact secretary@stboswellscricketclub.org. The Club is an important part of village life in St Boswells. The Clubhouse opens up on Friday and Saturday nights throughout the playing season (Friday nights off-season) as well as hosting a variety of social events including quizzes, music and race nights. We have a pool table, which has just been refurbished to a very high standard. We also play our part in the Midsummer Village Week with family sports events at either end of the week. If you would like to hire our social area at other times then please contact Scott Hunter on 07792 523226 or by email (click HERE). Very reasonable rates for meetings and social events, and no charge for club members using the bar. 2018 Membership Subs are now due for anyone wishing to use club facilities and/or play cricket. The form can be downloaded by following THIS LINK. Alternatively DOWNLOAD THE MEMBERSHIP FORM. Juniors (under 16) should fill in the Junior Permission Form.